Modern cars are fast. Sometimes very, very fast. And occasionally even faster than you could possibly use on public roads. 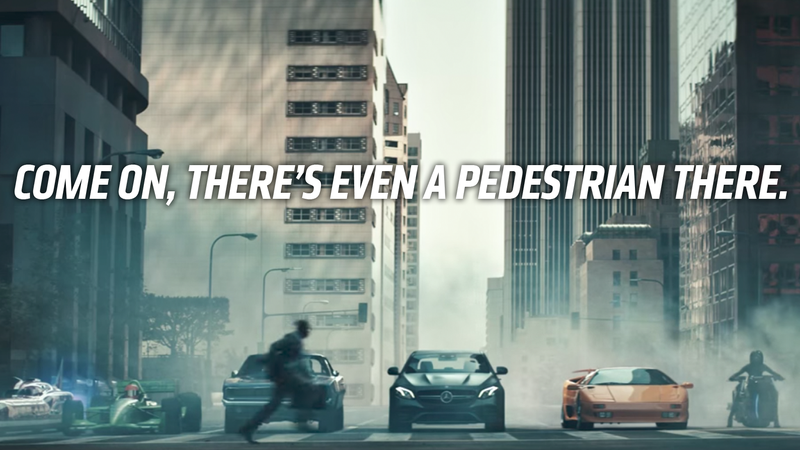 That makes fast cars tricky to advertise—commercials showing these fast cars racing on public roads could be seen as a tacit endorsement of illegal street racing, and big carmakers would never do that, right? Right? Doug Stokes, VP of Communication at Irwindale Event Center (you know, the Speedway) and has spent his life in motorsports. Recently, Doug saw the latest of many car commercials that showed a carmaker’s fast car being fast on normal, city streets. Doug’s no fool; he knows that in commercials, roads are closed, and everything is staged, but there’s no question about the implication of the ad: buy this car so you can drive it fast. Anywhere. Who the hell do I have to complain to? It (was) just a quiet Sunday afternoon, my wife and I were watching the U.S. Open finals on TV. There were, of course, number of adverts from top-tier companies … and then there was one, near the end of the match, that made the two of us whoop louder than the sellout crowd at Flushing Meadows. I frankly don’t think that it was the very best example of “The Best or Nothing” slogan that tags the advert. Likewise, a recent (at least here in Los Angeles) TV commercial shows two late model BMW’s seemingly racing each other through a (it seems) deserted industrial site with a quick close-up of another (was it one of the two street racers?) BMW cornering very hard, so hard that the driver needs to crank in a huge amount of opposite to keep control as the car slides right up to a painted double line that’s NOT on a race course, but apparently on a normal street somewhere. 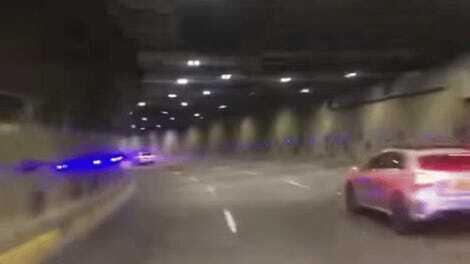 There you go, “The Ultimate Driving Machine” going way, way too fast apparently on city streets. A quick word about myself if I may, I’m the VP of communications at Irwindale Event Center located about 20 miles East of Los Angeles. We operate a half-mile NASCAR-sanctioned paved oval and an eighth-mile NHRA-sanctioned drag strip. We opened the drag strip in 2000, and it’s the only one in southern California that operates on a weekly basis all year long. Thousands upon thousands of drivers (young, old and in between) have used our facility to have some safe, controlled, high-speed fun with their performance cars. It’s almost impossible to prove a negative, however, I think that our drag strip has helped to dampen illegal street racing in the area. … Yeah, sure, yup, correct, you’re right; I know those commercial are a fantasy, innocent, innocuous metaphors, simply flights of advertising license. All of you know that you can show the fun of cool, high performance driving without using (and thereby glamorizing) often deadly and illegal street racing (no how much you see it as harmless marketing hyperbole ). You are all better than that, I’m sure. PS: I’d like to invite anyone in the industry (who wants to see what I’m talking about) out for one of our “Thursday Night Thunder” events at Irwindale Dragstrip. Heck ... I’ll even buy you a hot dog, soda, and a bag of chips. It’s worth emphasizing, as Doug mentioned in his letter, that he’s not against fast driving. At all. 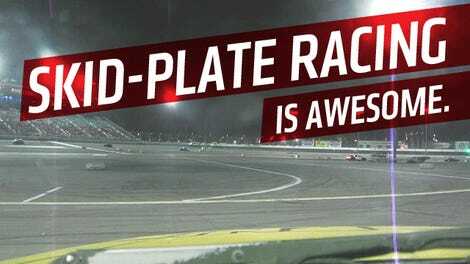 In fact, Irwindale has been providing a safe place for people to take their fast cars for years, and even has a weekly event to let anyone race their own car for only $20. Doug has makes some really good points here; street racing kills people, those involved in the race and otherwise, and car manufacturers should own up to their involvement and glorification of racing on public roads.